Aside from saying that he is certain that the communists, church leaders and political opposition are hatching their ouster plan for President Rodrigo Duterte, Abe Purugganan, a veteran soldier, said that the reasons why are for the benefits of these institutions. Purugganan shared this on his social media account. "1. To prevent the changing of the 1987 Constitution, 2. To prevent the Duterte administration from discovering, investigating, and prosecuting members of the Liberal Party for their multi-billion peso corruption cases and anomalies done in the Aquino administration, 3.To make sure that Leni Robredo remains as VP, 4. To prevent the Bongbong Marcos from winning the recount, and 5. The drug syndicate are losing big time and are desperate to oust President Duterte." Aside from this, Purugganan also stated "what we know" about the alleged ouster plan. He noted that the communists and church leaders are plotting to oust President Duterte. On July 3, the Armed Forces of the Philippines confirmed that Communist terrorists are hatching a plan to oust President Rodrigo Duterte from power this October. AFP Spokesman Col. Edgard Arevalo, said while the Communist terrorists were negotiating or talking with the government in terms that could only be favorable to them, they were also hatching a plan to oust the Commander-in-Chief that will culminate in October of 2018. “They hatched this plan while the government negotiating panel was in Norway, talking to Mr. (Jose Maria) Sison, Jalandoni, Tiamzon and (others). These Communist terrorists do not only engage us double-talk, they actually want to double-cross us,” Arevalo said. Puruggunan said that aside from this, the opposition with their allies in the media continue to poison the minds of the general population. Unfounded Issues are being thrown against the administration to sow dissension and discontent. He also said that the killings including the assassination of priests and of Mayor Antonio Halili of Batangas this Monday are attributed by the political opposition and the Catholic church to EJK. "So, what should be the response of the President to this ouster plan? Is it time to declare RevGov or ML? Or will he wait for the communists, church leaders, and the political opposition to execute their plan? Are you ready for this?," he said. "WHY DO THEY WANT TO OUST PRESIDENT DUTERTE? 1- To prevent the changing of the 1987 Constitution. 2- To prevent the Duterte administration from discovering, investigating, and prosecuting members of the Liberal Party for their multi-billion corruption cases and anomalies done during the Aquino administration. 3- To install Leni Robredo as President. 5- To prevent the Bongbong Marcos from winning the recount. 6- The drug syndicate are losing big time and are desperate to oust President Duterte. 2. The AFP has confirmed plans by communist terrorists to oust President Rodrigo Duterte from power this October. 3. 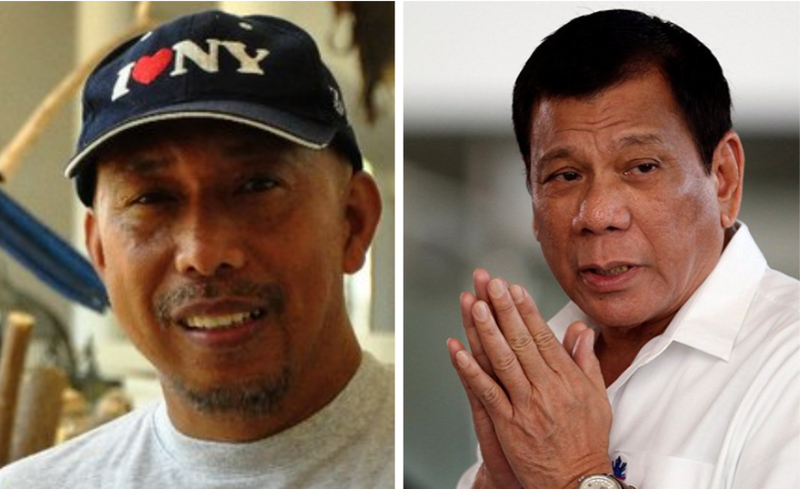 Communist rebels today reaffirmed their commitment to remove President Rodrigo Duterte from office, belittling the chief executive’s supposed "independent foreign policy" aimed at reducing reliance on the United States. 4. The opposition with their allies in the media continues to poison the minds of the general population. Unfounded accusations and issues are being thrown against Pres Duterte to sow dissension and discontent. 6. All killings including the assassination of priests and of Mayor Halili of Batangas are attributed by the political opposition and the Catholic church to EJK. Are we ready for this?"